Hair colour is my absolute passion. I count myself so lucky that I have a job that allows me to be an ambassador for something I love. Daniel says ‘Hair colour is my absolute passion and I count myself so lucky that I have a job that allows me to be an ambassador for something I love.’ Daniel Galvin has personally pioneered modern hairdressing techniques and made a massive impact on the art of colouring hair. 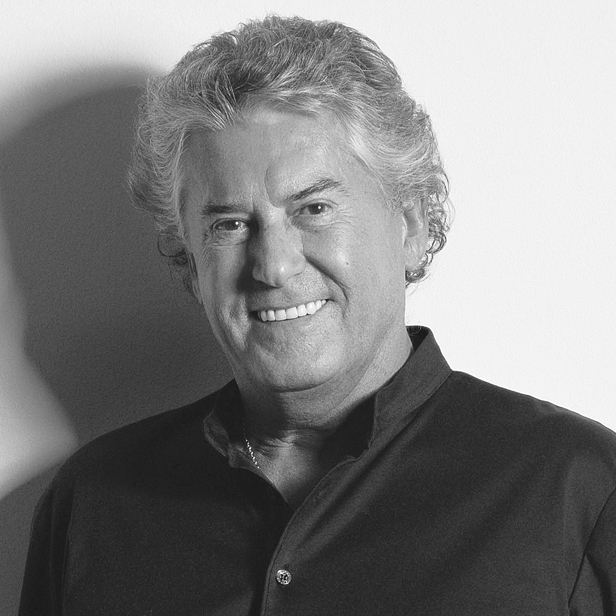 After decades of recognition and awards he achieved the ultimate accolade in 2006 at the first hair professional to achieve an OBE for his contribution to hair colour and the industry. As an entrepreneur and a creative, Daniel has achieved global recognition for his pioneering work and of course as a celebrity colourist. Daniel’s career began in 1960’s London just as Vidal Sassoon was revolutionizing hair cutting, he was always fascinated with the transformational quality of hair colour and decided to focus on doing the same for colouring. Through experimentation with nylon and silk dyes, Daniel invented eye popping ‘crazy colour’ in the 60’s and in the 70’s he introduced semi-permanent natural shades working with henna and black coffee. Ever the innovator and ambassador, Daniel started working on films, photographic shoots, magazines and celebrity clients and the requests have never stopped. In the 80’s and 90’s Daniel introduced professional colour to the Far East and in 2003 the Daniel Galvin colour specialist salon in London gave the brand an amazing 9000 square foot flagship. Daniel Galvin has delivered luxurious, beautiful colour services to the world of colour and trains his teams to share his incredible philosophy and standards. Visiting a Daniel Galvin salon puts clients at the heart of hair colour innovation and allows them to fully trust real professional expertise because Daniel is just as passionate about colour today as he was when his journey began in the 60’s. For information, availability and bookings please call 0207 486 9661.